Custom Home on 3+ acres with 392ft of Waterfront!!! Custom built home sitting on 3+ acres of manicured lawn and 392ft of Waterfront! This home is stunning from the inside out! Walk in to the beautiful living room with windows galore, floor to ceiling stone fireplace, hardwood floors and vaulted ceilings! The gourmet kitchen is a chefs dream with stone wall surrounding the commercial grade gas stove, custom cabinets, over-sized granite island with an extra sink and a walk in pantry! Large, spacious bedrooms, lower level family with a fireplace, personal office and a master bathroom that is like walking into a spa! Over-sized 3 car garage with a half garage for all your tools and toys! 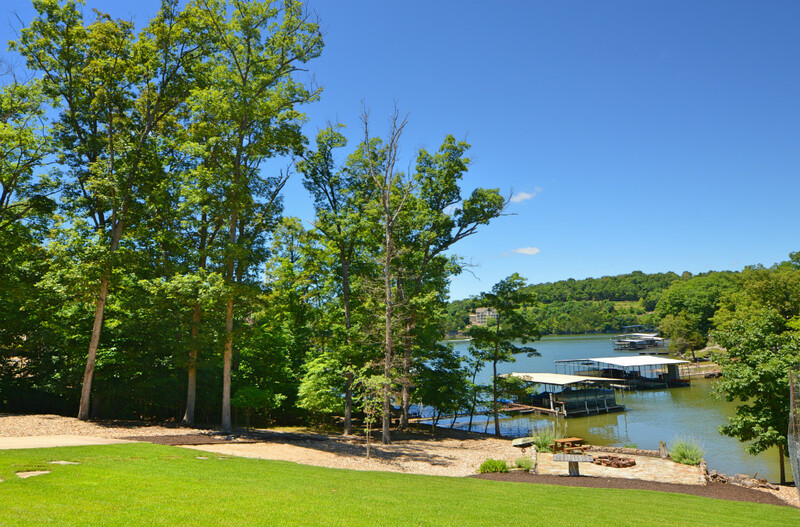 This home is perfect for those who really enjoy the lake lifestyle! Dock with 2 slips, 12X24, storm shelter and so much more! This is one you are going to want to see!